Bosch injectors come standard on the Duramax and Cummins diesel vehicles, providing superior performance and durability. Bosch remanufactures their Common Rail injectors to meet the same high standards and safeguards as brand new injectors. The latest updates are incorporated in the remanufacturing process resulting in a reman Bosch injector that is equivalent to a brand new injector with a much lower price. 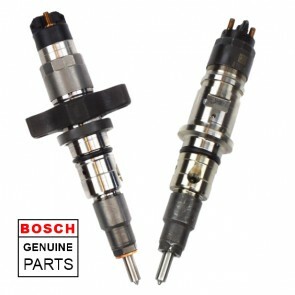 Because of theses updates by Bosch many times the Bosch reman injector is superior to the original injectors which were installed in your truck from the factory. 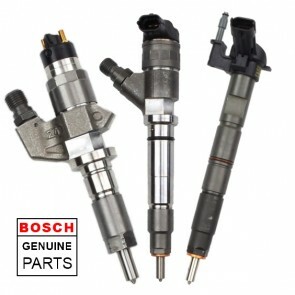 All Bosch Common Rail injectors come with a 1 year/unlimited mileage manufactures warranty.